For generations, sheep have had a proud history of jumping over fences to help children sleep. But when a little bunny tries to join this bedtime ritual, will the sheep be ready to welcome her into their group? Join Olive on her adventure, as she sets out to change bedtime as we know it and, along the way, discovers the joy that comes from helping others and the importance of not giving up. 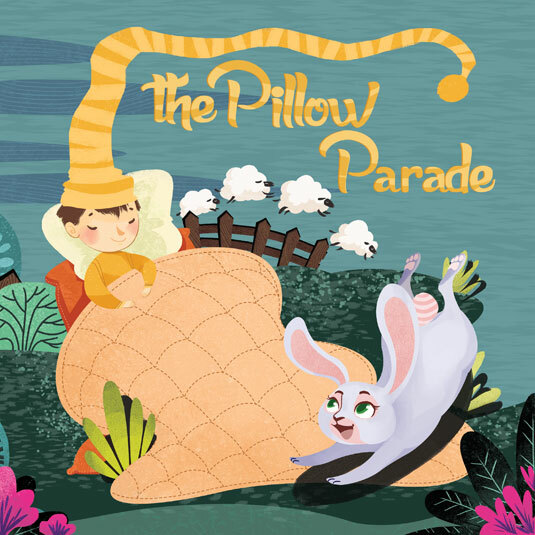 The Pillow Parade is a funny and lighthearted rhyming book that you will enjoy reading to your kids over and over again. In a playful and subtle manner, the story shows children the importance of not giving up when they are confronted with a difficult situation or a flock of veeeeeeery stubborn, and not-so-nice, sheep. If you’ve already enjoyed this book, we’d appreciate your help spreading the word about Olive. Please take a moment to review The Pillow Parade on Amazon. Thank you! Do you like to try things before you buy? Take the first half of the book for a test read.